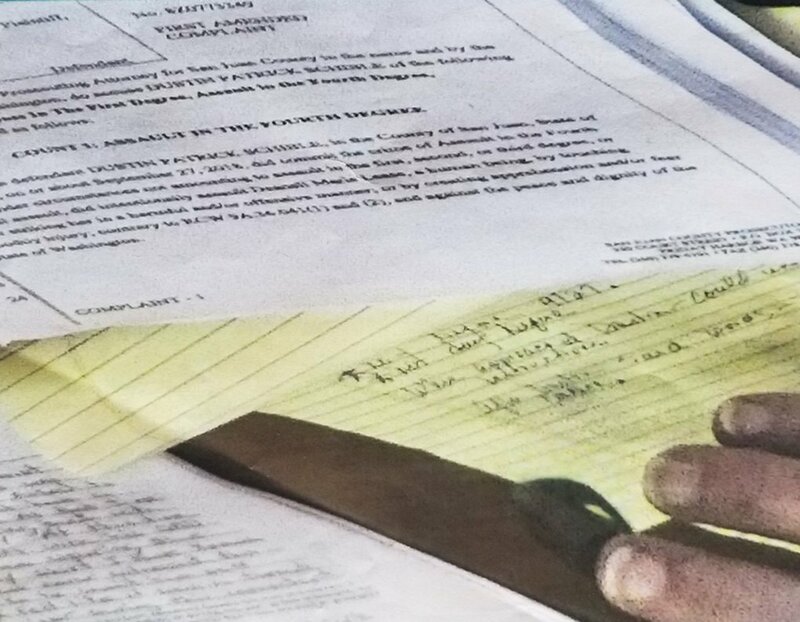 A San Juan county assault case has been thrown out after it was revealed that Sheriff Ron Krebs had used the courtroom's cameras to zoom in on the notes of the defense attorney and a juror. The San Juan Sheriff's office is a hot mess of corruption and misconduct, and even the San Juan prosecutor's office has condemned the county's sheriffs, with prosecutor Randall Gaylord saying "I too am frustrated at what has happened here, frustrated that it has happened to cases I personally was involved in, and concerned about the community we represent." The prosecutor says that he was not given any intelligence by the Sheriff after he misused the court's cameras. Sheriff Krebs says that the focus on the defense and juror's notes was "isolated and unintentional" and explain it by saying that Krebs "inadvertently manipulated the camera in the District Courtroom in such a way that it zoomed in on one or more locations in the courtroom." If that is true, then a review of recordings from earlier hearings would not find similar incidents. It's not clear whether these recordings have been retained, nor what process would have to be set in train to trigger such a review. Screenshots from the video provided by Power that show close-ups of a trial exhibit, a steno book belonging to the No. 3 juror in the case, and a legal pad belonging to Kenimond were introduced as evidence at the hearing and played into Eaton’s decision to dismiss the charges with prejudice, meaning they cannot be refiled. Eaton has not yet issued written findings in connection with the dismissal. Kenimond was representing Lopez Island resident Dustin Schible in what was by all accounts a routine, low-level misdemeanor criminal trial before a district court jury when the misconduct was revealed. Power said Monday the only thing unusual was that the case was being heard by Eaton, a retired jurist who was filling in while District Judge Kathryn Loring worked on another matter. If that hadn’t been the case, Kenimond said, the whole incident likely would have gone unnoticed. “And that might be the most frightening thing of all,” she said.